Palit's GTX 1050 StormX brings Nvidia's Pascal GPUs to the masses, offering excellent value for money and HDMI 2.0 plus much more. Everyone deserves great gaming. That’s why Nvidia created the fast, powerful GeForce GTX 1050. Now, you can turn your PC into a true gaming rig, powered by NVIDIA Pascal technology, the most advanced GPU architecture ever created. It’s loaded with innovative NVIDIA Game Ready technologies that let every gamer experience the latest titles in their full glory. Ti or not Ti, that is the question! 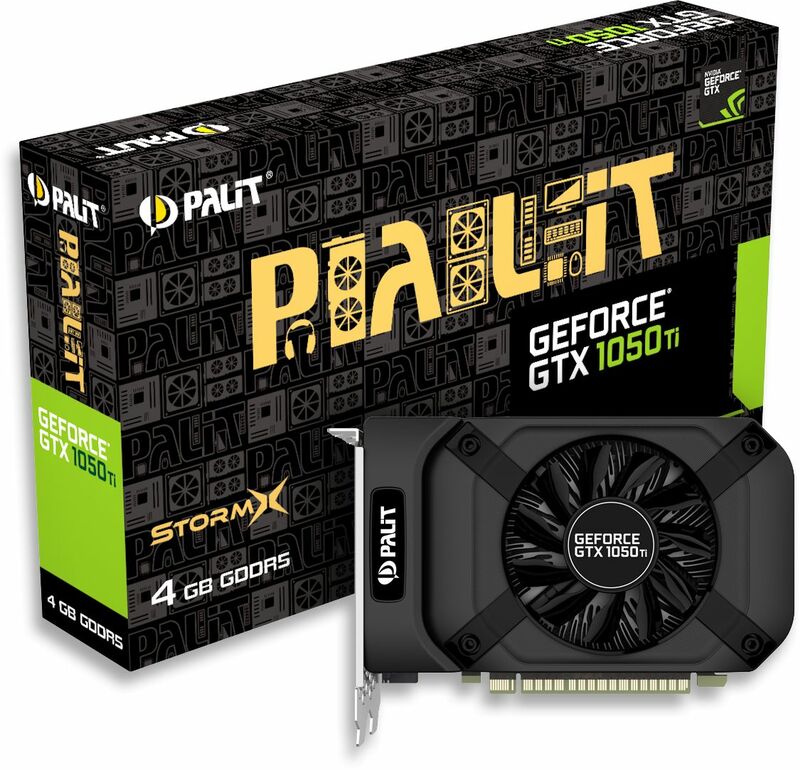 From a physical point of view there are no differences between the Ti and none-Ti version of the Palit StormX graphics cards. The differences lies in the GPU and the amount of DRAM the cards have. Looking at the specifications table below you may think that the none-Ti version has better performance due to its higher clock speeds but that is not the case as the Ti version offers twice the DRAM (4GB) as the none-Ti (2GB) and more CUDA cores, meaning the Ti version provides greater performance. This difference is reflected in the G3D benchmarks ratings. At the time of writing, the Ti version has a score of 6,007 and the none-Ti has 5,720. 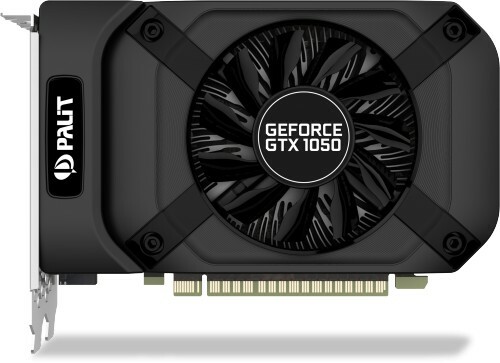 We recommend the Ti version if you are looking for a great value graphics card to play games with, as it will give enough grunt to play most games at 1080p whilst maintaining a reasonable frame rate. If gaming is not a main requirement and you are looking for a graphics card that provides HDMI 2.0 allowing you to run 4K resolution at 60Hz then save yourself around £30 as the none-Ti version will be ideal.